Closeup Calm Waves of the Sea on the Sandy Beach at Sunset. Sun Reflection in Sea Water. Exotic Koh Samui. Thailand. Slow Motion. hd00:18Girl walking on the beach. hd00:20The Pump Geyser in the Upper Basin near Old Faithful in Yellowstone National Park. 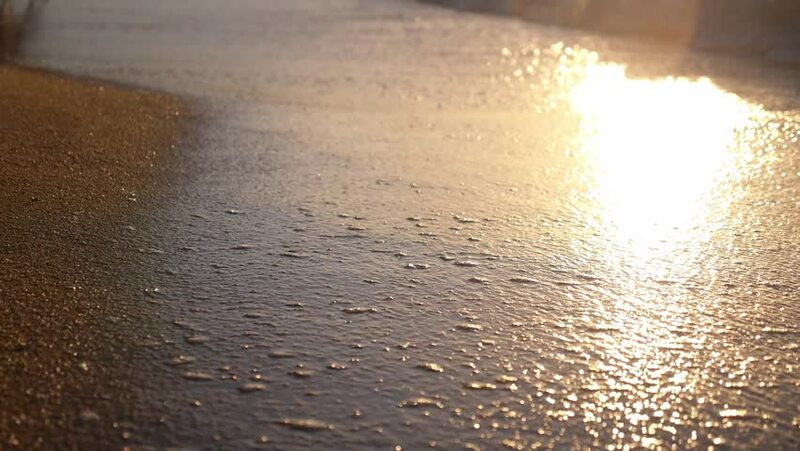 hd00:16Slow motion, 240fps, of fighting water and sand in sea swash on beach. Beautiful natural background for amazing intro in excellent eight times decelerated HD clip. Relaxing view of vacation scene. hd00:41Marbled stargazer(Uranoscopus bicinctus) with red tongue hunting in the night on the sand in Zulu sea Dumaguete Philippines..